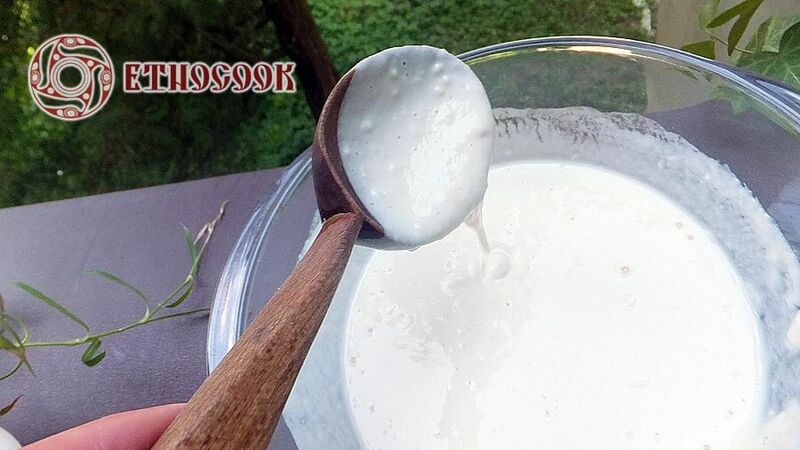 Slavic people used to bake using a simple sourdough starter. 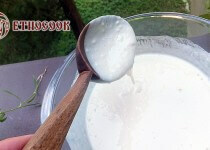 In Ukraine healthy leaven for fermentation were cultiveted in every family. 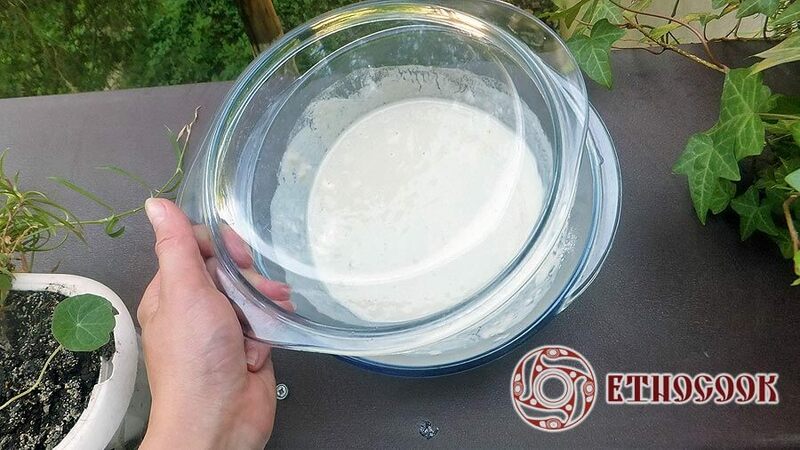 The simplest sourdough starter made from flour and warm water. It is well known from ancient times when people began to make bread from dough with leaven agents. It is natural and good for health. 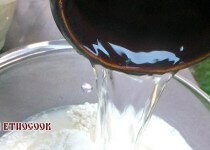 This starter is added to different types of dough to make tasty fluffy bread, pancakes, cakes. 1. 300 g. sifted flour pour warm ( room temperature ) water. 2. 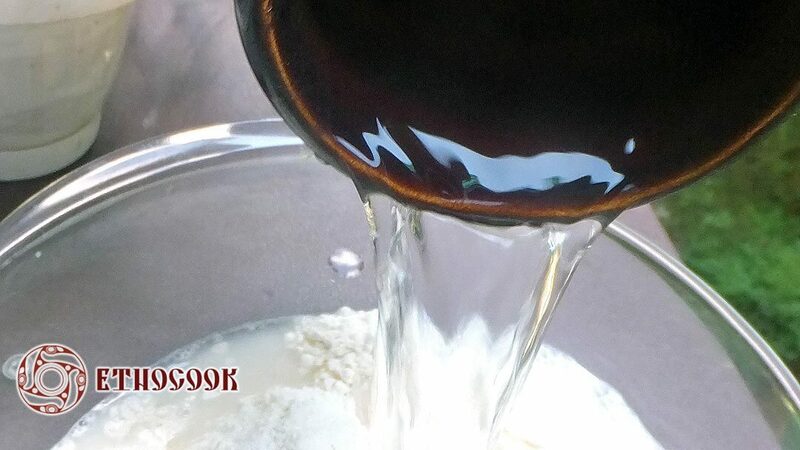 Stir flour with water. 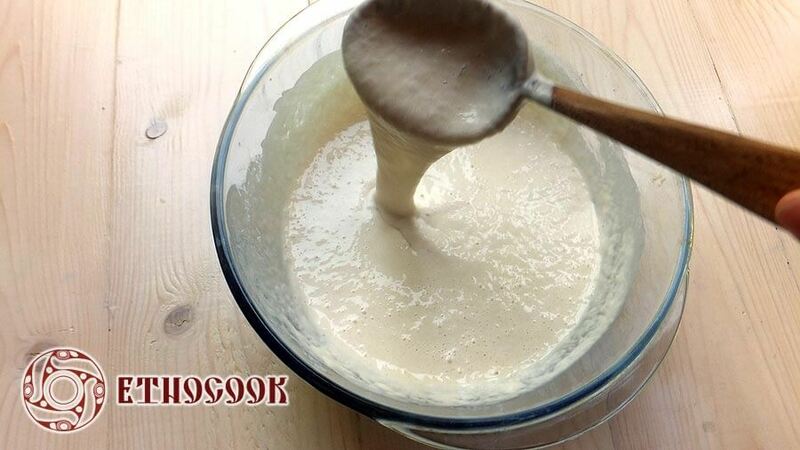 Carefully fold the flour with water to the consistency of liquid dough for pancakes. 3. Cover dishes with sourdough bread lid. 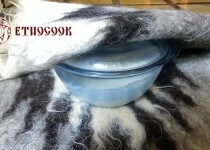 Ware is best to use a ceramic or glass . 4. 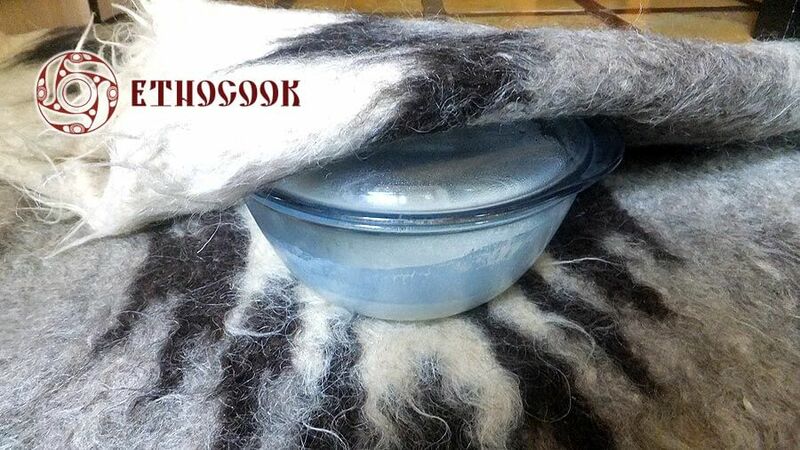 Put the dough starter in a warm dry and dark place , you can also wrap a jar with blanket . 5. On the second day open jar and thoroughly mix the contents. Adds another 100g. sifted flour and carefully fold back and put in a warm dark and dry place for another day. Then use a ready-made starter at the rate given weight of 0.7 kg. flour.